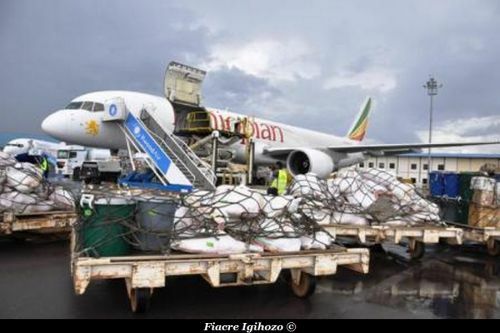 Rwandan exporters have reason to smile after government reached a deal with Ethiopian Airlines to transport exports to Congo Brazzaville. 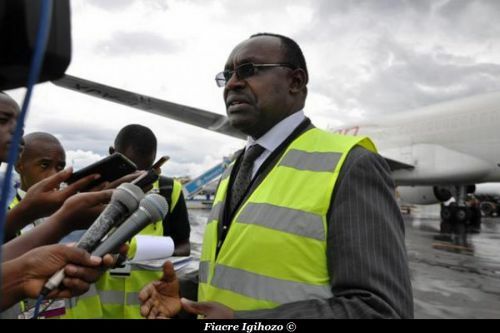 According to the agreement between the Ethiopian flag carrier and RwandAir, Rwanda Development Board and traders, at least 30 tonnes of Rwanda’s exports to Brazzaville will be airlifted twice a week (monday and sunday). However, this can be expanded to 60 tonnes depending on the demand of the products and expansion of market, officials said, yesterday, during the maiden landing of the cargo plane at Kigali International Airport. Most of the products to be exported are vegetables, meat, milk, flour and other agricultural products. According to Emmanuel Hatgeka the Permanent Secretary in the Ministry of Trade and Industry of Rwanda, Ethiopian Airlines Cargo will start the first cargo service between Kigali and Brazzaville. Flights will start from April 2013 and they will be operated one times a week, in partnership with RwandAir, probably with B757s. Currently, RwandAir operates four flights a week between Kigali and Brazzaville, using mainly a CRJ-900, but sometimes the B737 due to a strong demand for cargo. Since some years, relations between Rwanda and Republic of Congo are strong. Since 2010, Paul Kagame made two visits in Republic of Congo. On the Congolese side, Denis Sassous N Guesso made also two visits in Rwanda. In 2011, Rwanda organised the first ever Rwanda - Congo Brazzaville Trade Fair which took place in Brazzaville, with the aim to showcase Rwandans products in the Congolese market.